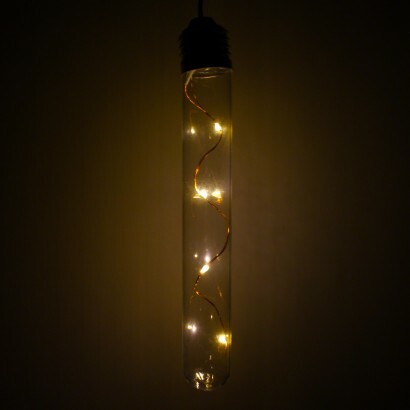 Take the industrial vintage lighting trend outdoors with exposed bulbs lit by fairy lights! 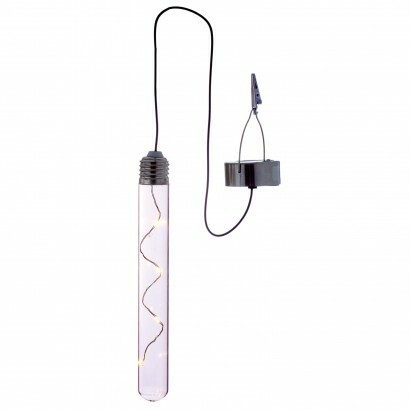 This test tube shaped light contains a copper lightstring that's lit by warm white LEDs for seriously stylish effects. 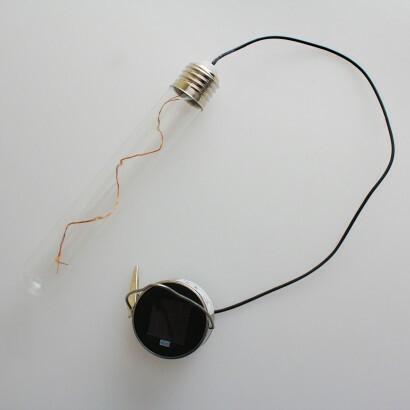 Solar powered, the solar panel sits on the top of the base of the light where it receives maximum exposure to light whilst the hanging hook makes it easy to place on tree branches, trellises and more using the bull dog clip to secure it. 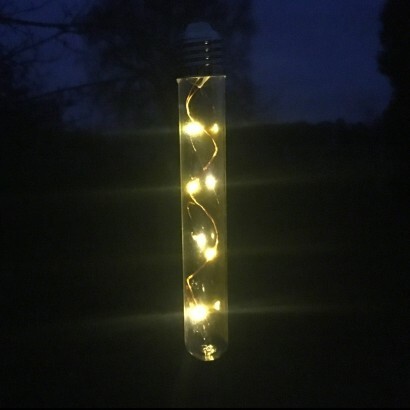 Hang either on it's own or as part of a cluster for magical effects and allow to charge throughout the day, this stylish garden light will then sense darkness to automatically turn on at night.